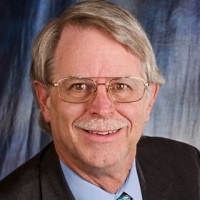 Kenneth Wyatt is a principal consultant of Wyatt Technical Services LLC, as well as the senior technical editor for Interference Technology Magazine. He has worked in the field of EMC engineering for over 30 years with a specialty is EMI troubleshooting and pre-compliance testing. He is a co-author of the popular EMC Pocket Guide and RFI Radio Frequency Interference Pocket Guide. He also coauthored the book with Patrick André, EMI Troubleshooting Cookbook for Product Designers, with forward by Henry Ott. He is widely published and authored The EMC Blog hosted by EDN.com for nearly three years. Kenneth is a senior member of the IEEE and a long time member of the EMC Society. He may be contacted at [email protected] or [email protected] Check out his web site for more technical information, training schedules, and links: http://www.emc-seminars.com.